Griffith offers bachelor degrees in pharmacy and the developing area of pharmacology and toxicology (how chemicals interact with biological systems), designed around industry and community needs and offering a wider range of career options. Based on our Gold Coast campus, Griffith's School of Pharmacy and Pharmacology is known for innovative teaching that produces highly sought-after graduates. With the opening of the Gold Coast University Hospital, Australia's first public university hospital and located next to the Griffith Health Centre, you'll be ideally placed to gain practical workplace experience as part of multidisciplinary teams. The School of Pharmacy and Pharmacology offers you a wonderful opportunity to learn about pharmacy and pharmacology and toxicology in a world class environment. You'll have the use of outstanding facilities such as a professional practice laboratory with model dispensary and a dedicated formulations lab, and aseptic dispensing unit. You'll learn from practising pharmacists and research-active staff. Our Pharmacy degree will provide you with the training and tools necessary to go on to your pharmacy internship. In what's believed to be a world first in pharmacy education, Griffith has developed virtual learning environments. Without leaving the classroom, you can immerse yourself and interact with filmed settings including hospital and community pharmacies. Australia's first Pharmacology and Toxicology degree is a new pathway to a future in some of the world's biggest industries. Learn about the effects drugs and poisons have on tissues and organs, and how to develop new medicines — ideal for those who enjoy chemistry and biology. Major in one of five fields, to work in areas like environmental toxicology, drug discovery or pharmaceutical marketing, or study a double degree with law or business. Clinical placements in metropolitan, rural, international and industrial environments are an integral part of your learning experience, arranged in conjunction with over 400 partners. Medicines of the future - what’s coming? What’s the future for Pharmacy? Battanbang, Northern Cambodia was the destination for a group of Griffith pharmacy students aiming to bring their skills to disadvantaged communities. Led by third year student Aisha Al Mahdy, the group of 13 Pharmacy students organised a two-week program that saw them providing healthcare to very low resourced communities. 'Unfortunately many chronic ailments go unnoticed in these conditions, so the group provided general medical help, including blood pressure checks and glucose checks, as well as general health and hygiene education,' said Aisha. 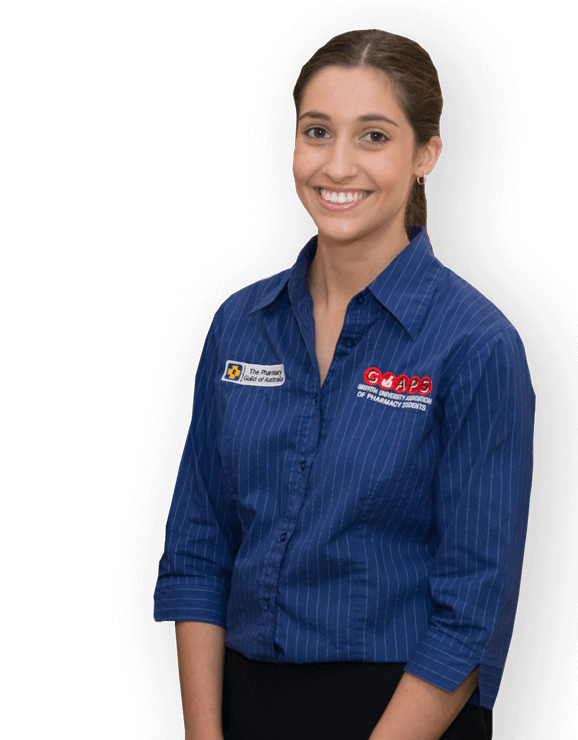 Griffith Pharmacy graduates are held in very high regard, with a reputation for being more work ready, with more real-life work knowledge. You'll also be able to embark on a career in the pharmaceutical, biotechnology, nutraceutical and related industries (in areas like management, sales, marketing, business development, and government regulatory agencies).